The Southern Region Netball Committee (SRNC) is targeting to raise about K5 million from the Corporate Sports Festival slated for this Saturday at the Blantyre Youth Centre. This has been confirmed by the SRNC general secretary Charity Gondwe. According to Gondwe, the festival is aimed at raising funds to establish the first ever Under 20 Netball League in the country. 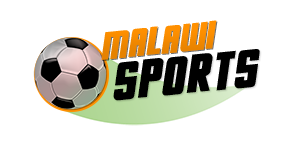 Gondwe has told Malawi Sports that preparations for the day-long event which will feature various sporting disciplines are going on well with over thirty teams registered so far. “We believe we can hit K5 million through donations and team registration fees. Games will be played in football (seven-aside), netball, volleyball and basketball. Each team will pay K50,000 while individuals taking part in aerobics will part with K1,000 registration fee. Although the response has so far been encouraging, we are still urging more companies and individuals to support this important initiative,” said Gondwe. She further disclosed that Alliance Capital Limited are the official sponsors of the event and have been joined by other corporate entities namely National Bank, Eco Bank and Finca who have also donated towards the cause. National Bank marketing manager Anne Magola will be the guest of honour at the event which will be graced by the Netball Association of Malawi President, Khungikile Matiya. The southern region has one active netball competition, the Rainbow Paints Blantyre and Districts Netball League, and according to Gondwe the idea of coming up with an under 20 league is meant to create a nursery of netball stars which will feed the junior and senior national teams.